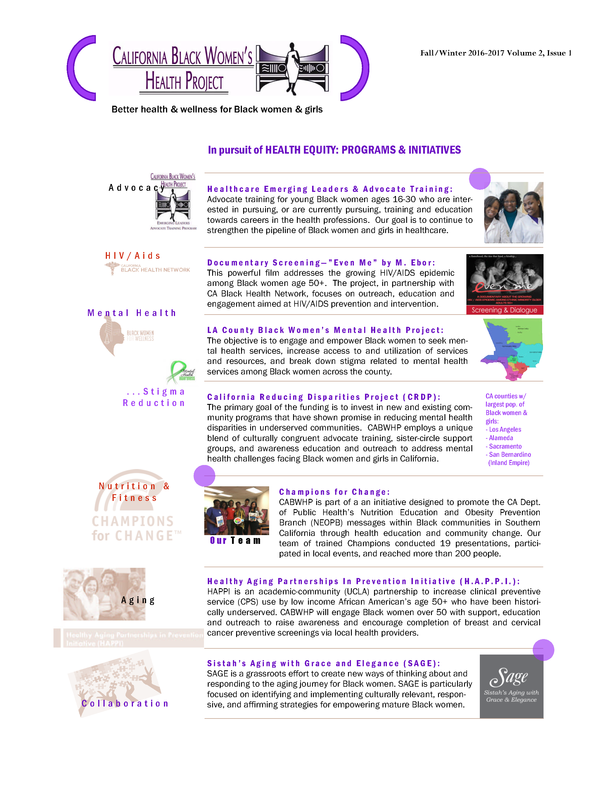 Our newsletter is comprised of basic health and policy information and analysis. The target audience for the newsletter is the larger community of Black women and other lay persons. 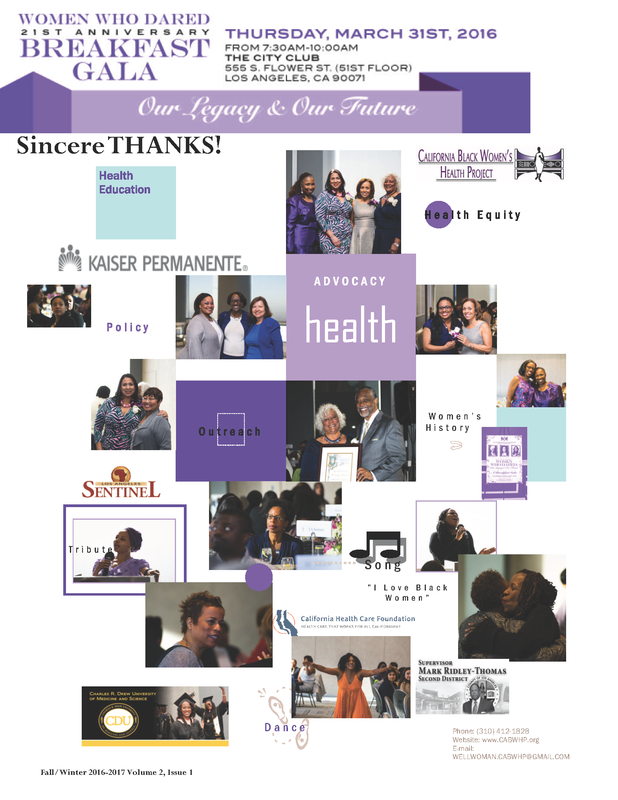 The newsletter is circulated to more than 1,000 individuals and organizations and communities served by our Policy Advocacy Group (PAG) members. The combined networks of PAG members and CABWHP affiliates facilitate community-wide dissemination of health and advocacy information.